Theresa May's Brexit strategy is in disarray after MPs dramatically voted to wrest control of the process from the hands of ministers. Three pro-EU ministers quit the Government to back a Commons amendment enabling MPs to take control of Commons business to stage a series of "indicative votes" on alternatives to the Prime Minister's deal. They were among 30 Conservative MPs to defy the whips and support the cross-party amendment which was passed by 392 to 302 - a majority of 27 - in another humiliating reverse for Mrs May. Business minister Richard Harrington, who resigned along with Middle East minister Alistair Burt and health minister Steve Brine, said the Government was "playing roulette" with peoples' lives and livelihoods in its handling of Brexit. The result means MPs can potentially dictate business of the Commons - normally controlled by the Government - for days to come, potentially paving the way for a "softer" deal that keeps Britain closer to the EU. The Government warned the Monday night vote had set a "dangerous, unpredictable precedent" and said it was essential that any options put forward by MPs were actually "deliverable". "This amendment instead upends the balance between our democratic institutions and sets a dangerous, unpredictable precedent for the future," a spokesman for the Department for Exiting the EU said. "While it is now up to Parliament to set out next steps in respect of this amendment, the Government will continue to call for realism - any options considered must be deliverable in negotiations with the EU." Earlier in a statement to MPs, the Prime Minister warned she would not feel bound by the results of any indicative votes - which could include a softer, Norway-style deal, a second referendum or revoking the Article 50 withdrawal process altogether. "We will be relying on the Government to reflect Parliament's wishes," he told the BBC. Labour leader Jeremy Corbyn also warned the Government must "take this process seriously". "The Government's approach has been an abject failure and this House must now find a solution," he said. "I know there are many members of this House who have been working for alternative solutions, and we must debate those to find a consensus." The successful amendment was tabled by Tory former minister Sir Oliver Letwin with cross-party backing, including from ex-attorney general Dominic Grieve and Labour's Hilary Benn. He said the amendment provided for the Commons "to begin the process of working its way towards identifying a way forward that can command a majority in this House". He said he believed the first vote should enable MPs to disclose "where the votes lie" on a "plain vanilla basis" - with all votes cast on a paper slip at the end of the debate. The House, he said, should then seek to establish a method of voting that would enable it to "zero in" on compromise which could command a majority over the course of the coming days. 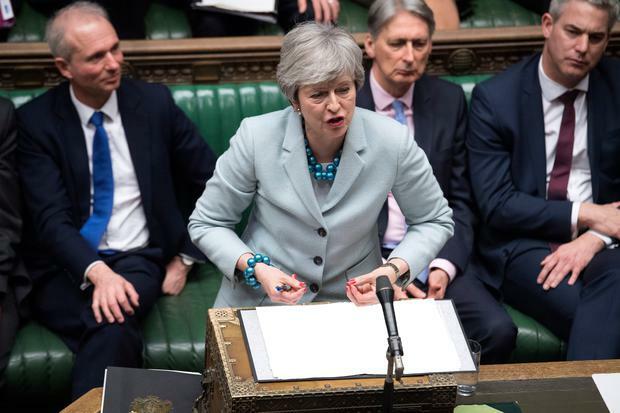 The vote came after the Prime Minister acknowledged that she still did not have sufficient support to bring back her deal to the Commons for a third "meaningful vote". She said she would continue her efforts to build support for the deal - defeated by 230 votes in January and 149 votes in March - and stage a vote before the end of the week.